I have been teaching music 40+ years in and outside of the public school. I enjoy working with individuals as well as small groups of people of all ages. I also teach Kindermusik, a child development program taught through music for children from birth to age 7. 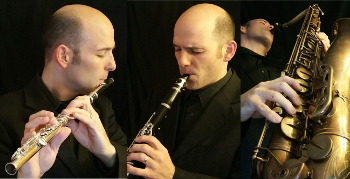 My performing experience includes playing in the Vermont Symphony, the Vermont Philharmonic and the Montpelier Chamber Orchestra. I have also very much enjoyed working with pickup groups over the years and performing with several quintets. I teach to the student, being sensitive to their learning style and looking for music that will interest them. I enjoy teaching the technique of playing the instrument as well as basic music theory and practice techniques. Over the years, many of my students have participated in the New England, Vermont and local festivals as well as participating in Vermont Youth Orchestra and the Green Mountain Youth Symphony. Private lessons are weekly and are $30/half hour. Flexible Class times. No minimum number of lessons: classes start/end whenever you like. Free-lance musician for 18 yrs. - has played with: Herbie Hancock, Mike Stern, Gary Burton, Dave Liebman, Louie Bellson. Barbara Smith attended Bard College as a Liberace Scholar, where she received her B.A. in Music Performance. While at Bard, she worked with Joan Tower, Luis Garcia-Renart, flutist Patricia Spencer, saxophonists Erika Lindsay, Harvey Kaiser and Howard Johnson, clarinetist Larry Guy, and performed as a solo flutist with the American Symphony Orchestra. 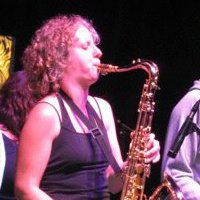 In 1999 she toured the United States, Russia, and Central Europe as a saxophonist with the American Russian Young Artists Orchestra under the direction of Leon Botstein. In 2000 she served as a guest panelist at the New York City Flute Convention. Currently, Barbara performs in the area with The East Bay Jazz Ensemble, Toast (soul/funk band), Island Time Steel Drums, APEX, and at a variety of functions as a solo flutist. She has written and recorded music with many local artists in the area, including Bow Thayer and Kristina Stykos. She has also served as an adjudicator for district and state music festivals. Barbara has served as a chamber music coach at the Green Mountain Youth Symphony. She is the co-founder of Vermont Independent School of the Arts (now The Seven Stars Arts Center) in Sharon, VT. Many of her students participate in district, state, and regional music festivals, and have gone on to pursue music studies at the collegiate level. Make sure you have a cleaner for your instrument. Avoid using the popular "pad saver" swab, unless you store it outside of your instrument. 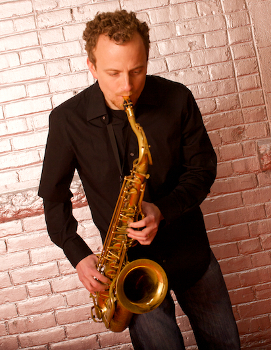 I offer lessons in Woodstock, Vt., and at the Upper Valley Music Center in Lebanon, N.H.